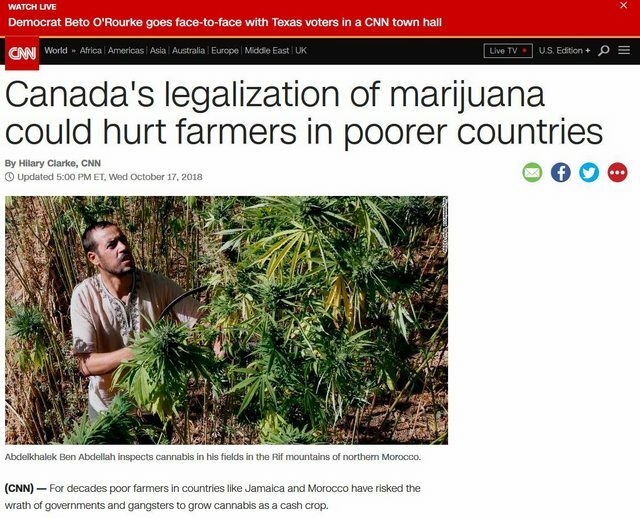 Canada’s Recent legalization of Cannabis seems to have caused a small outcry via CNN. With claims that Canada’s legalization is hurting poor cannabis farmers in other countries. But don’t those farmers in poorer countries supply the cartels? Baffling logic from CNN. Is this a paid article from a government or cartel? Why would CNN care about global cannabis sales?